Mystery Photo 12 was kindly provided by Pete Adams and is set on the Flight Deck of HMAS Melbourne. who is ‘piloting’ the car? where the ship was going from/to? None of our readers ventured an opinion on the photograph. The event occurred on HMAS Melbourne, which was enroute from Melbourne to Sydney in about 1973. 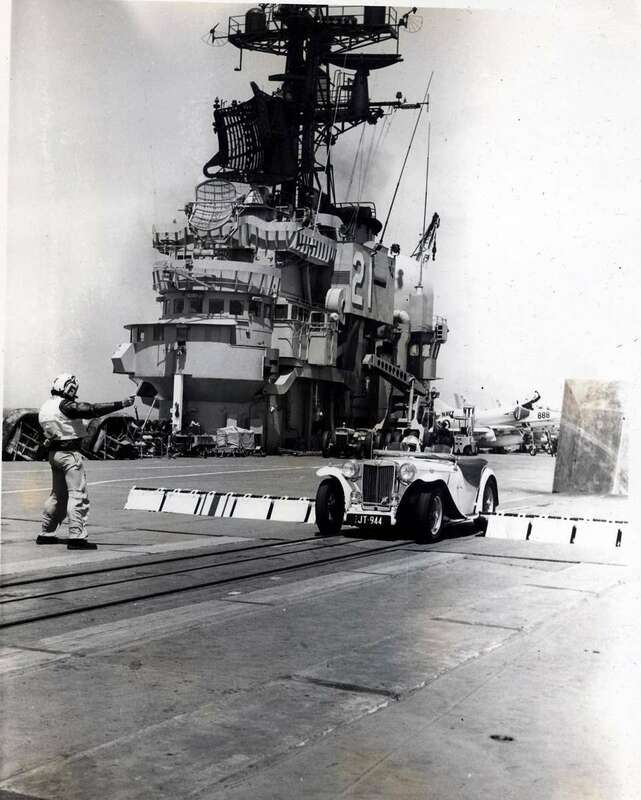 Mike Killingsworth, a young Tracker pilot, had persuaded the Captain to allow his car aboard for the transit and in a quiet moment posed on the catapult for a photographic shoot. Killingsworth is the ‘pilot’ of the car and the FDO, Peter Adams, was happy to join in for effect. Vintage car enthusiasts will be pleased to hear that they didn’t actually propel the car into the sea.